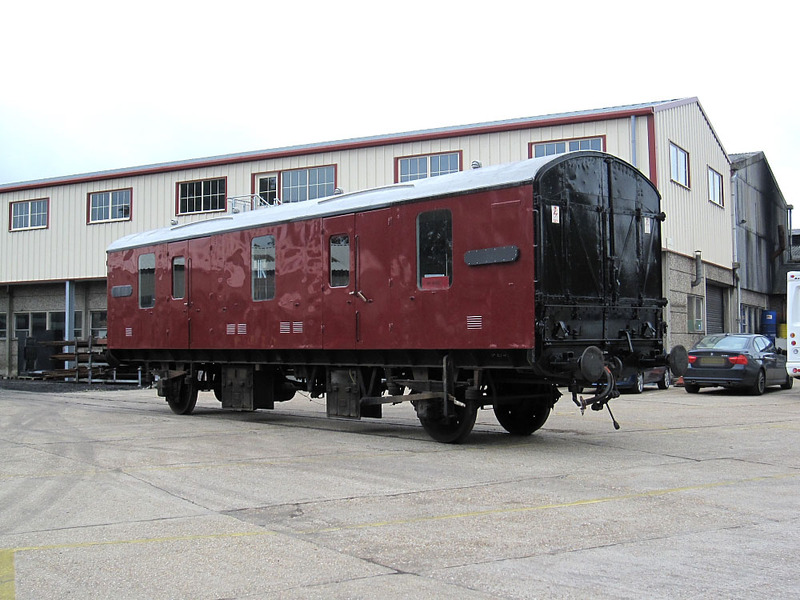 The BR CCT (Covered Carriage Truck) is essentially a 4-wheeled version of the bogie GUV, including end-doors. 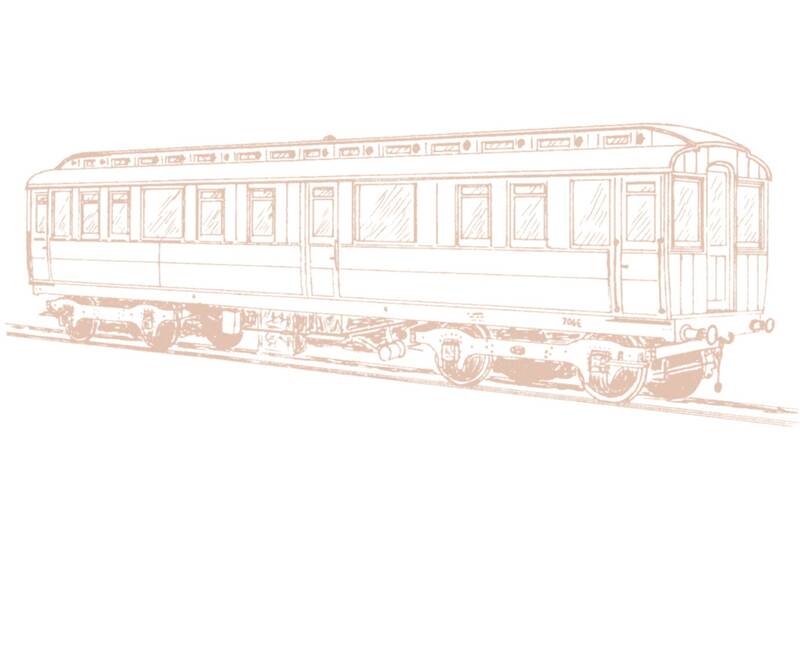 The Southern Region was responsible for the design, which was based on some vans built for continental ferry services, but of increased length, and with two pairs of doors and three windows (sidelights) on each side. 822 such vans were built, and this particular vehicle was one of the first batch of 300, ordered in November 1958, and delivered up to March 1960. It was painted in BR lined maroon from new. Subsequent use of BRUTE universal trolleys led to the removal of footsteps and the addition of internal restraining hinged beams. 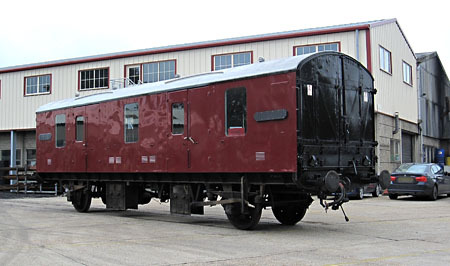 The van was withdrawn from service in BR corporate blue, having been allocated to the Southern Region, probably fairly late in its service career, which was cut short when it was failed from a parcels train at Waterloo and subsequently withdrawn from service rather than being repaired. 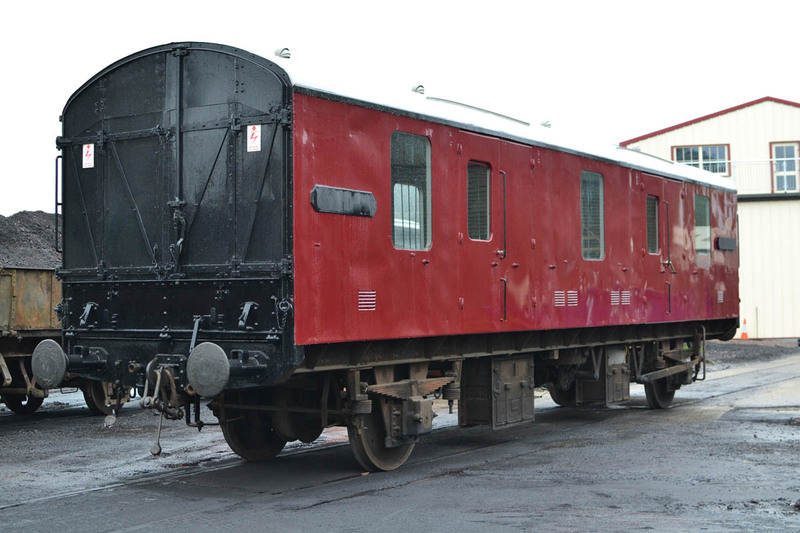 After initial preservation by the VSOE, and used as a stores van at Stewarts Lane, it was obtained and overhauled by the Howlden Trust in 2011, and arriving on the Bluebell on 18 July 2012 (as seen in Fred Pragnell and Mike Hopps' photos), the vehicle is to be used as the Trust's stores van, an increasingly important role since the "container park" at Horsted Keynes is to be replaced by new stock storage buildings. 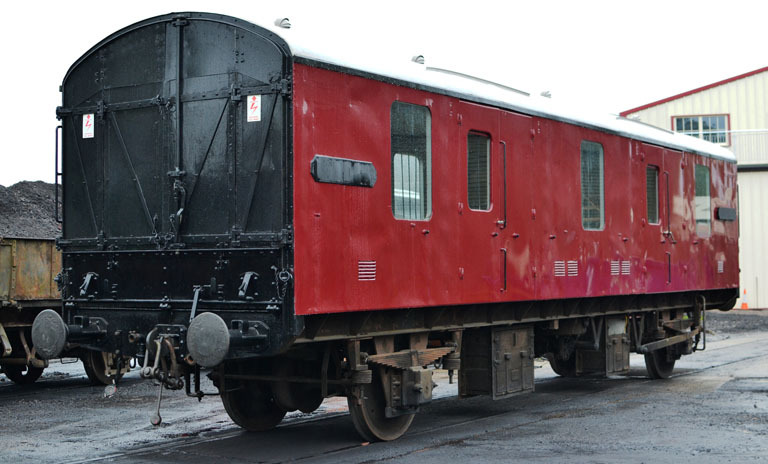 The overhaul included significant repairs to the roof and bodyside, with the welding in of replacement areas of steel sheeting, making the end doors operational, the fitting of a set of brand new replacement bodyside doors and the removal and re-bedding of the sidelights and some lengths of gutter. The overhaul has also included a full repaint of bodyside, ends and roof, and lettering and lining will now be applied. When some minor mechanical work is completed, it might be able to run on Bluebell service trains on occasions. Length over buffers: 40' 8"
Width over body: 8' 3 5/8"
Width overall (as built): 8' 9"
Last update 21 July 2012 by Richard Salmon.